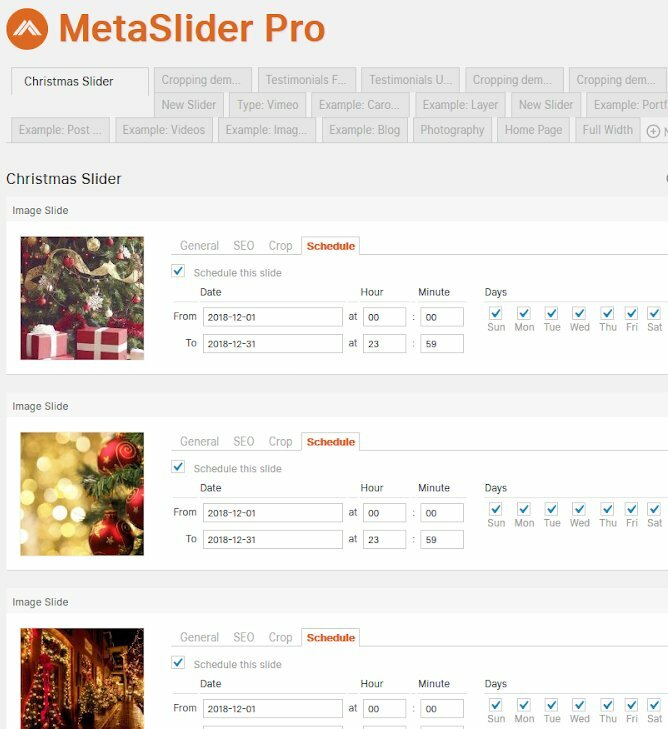 MetaSlider Pro customers will now have the option of using our exclusive “Scheduled Slider” feature. This feature has been specially designed to give users the ability to schedule exactly when a slider will be displayed on your website. If you own an online WooCommerce store and have slider updates for specific holidays such as Christmas, Thanksgiving and Easter, you can see the value in being able to schedule your image slider ahead of time. The schedule slider feature allows you to create a specific slider theme at your convenience and at any time of the year. For example, if you wanted to make a Christmas slider, just add your images, schedule it to only appear from December 1st to December 31st and enter the slider code into your site. MetaSlider does the rest! With this feature you can be assured that your website is always up to date with the latest correct slider branding. MetaSlider is available for download here. Sign up and download it to your WordPress website today and let the fun begin. Visit MetaSlider for further updates and information. 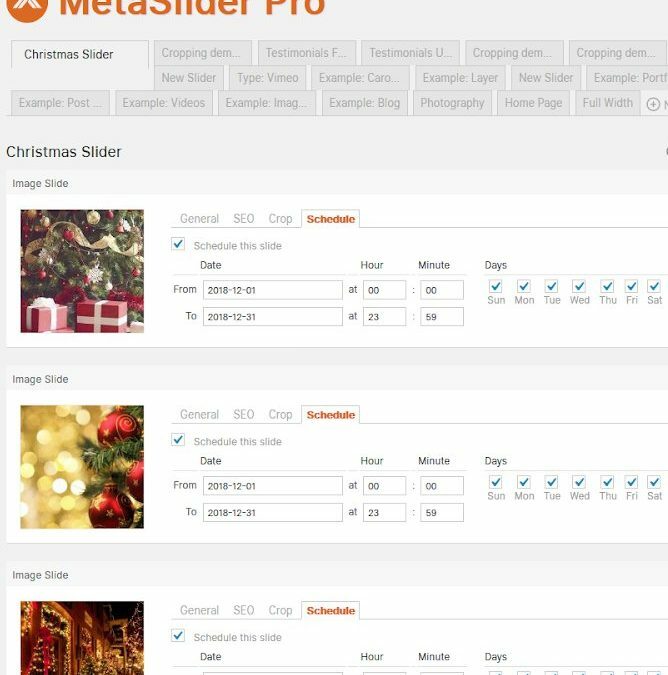 The post MetaSlider Pro launch schedule slider feature appeared first on UpdraftPlus. UpdraftPlus – Backup, restore and migration plugin for WordPress.